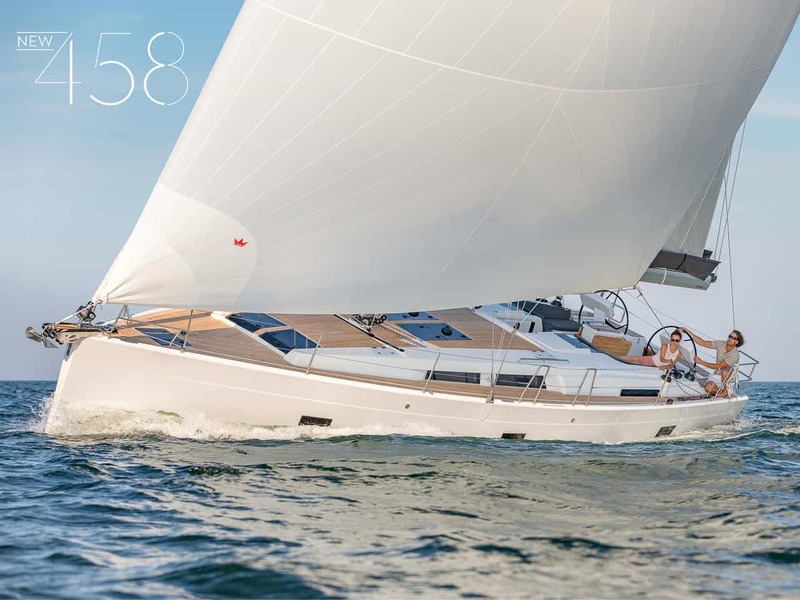 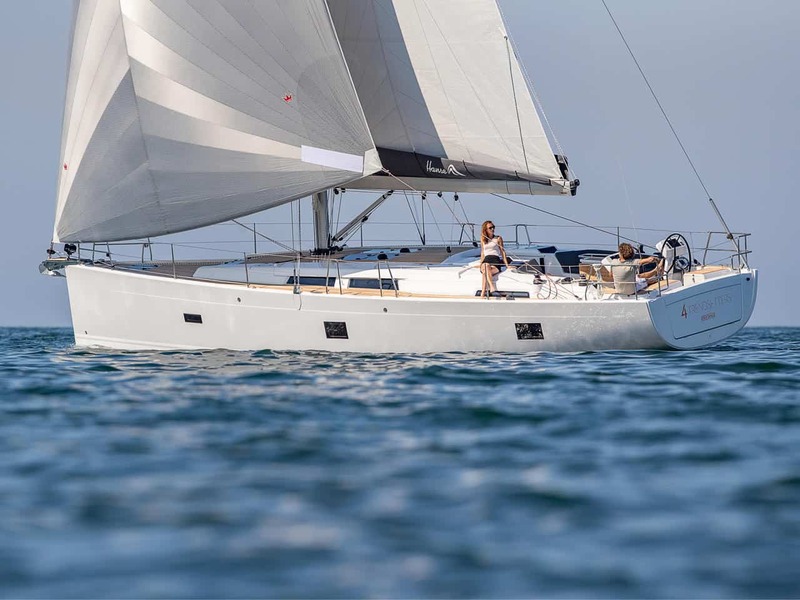 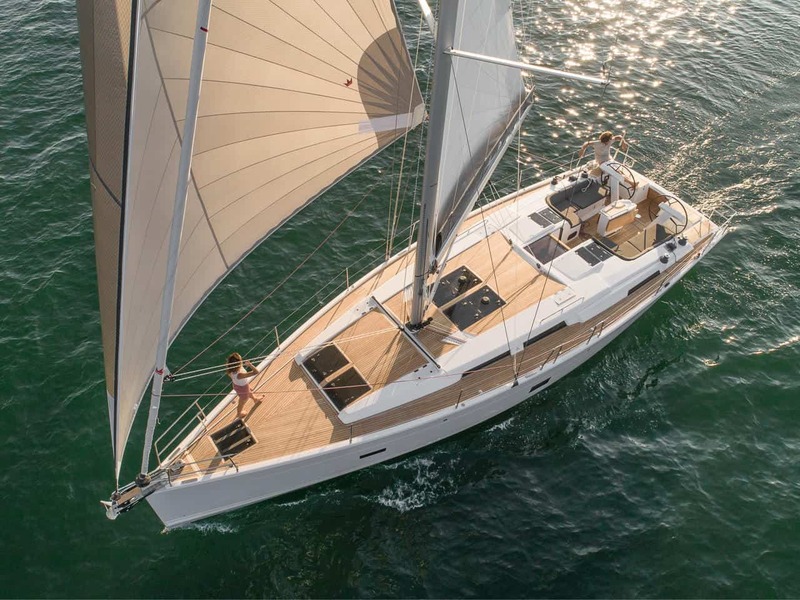 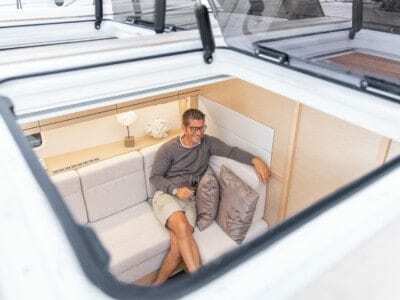 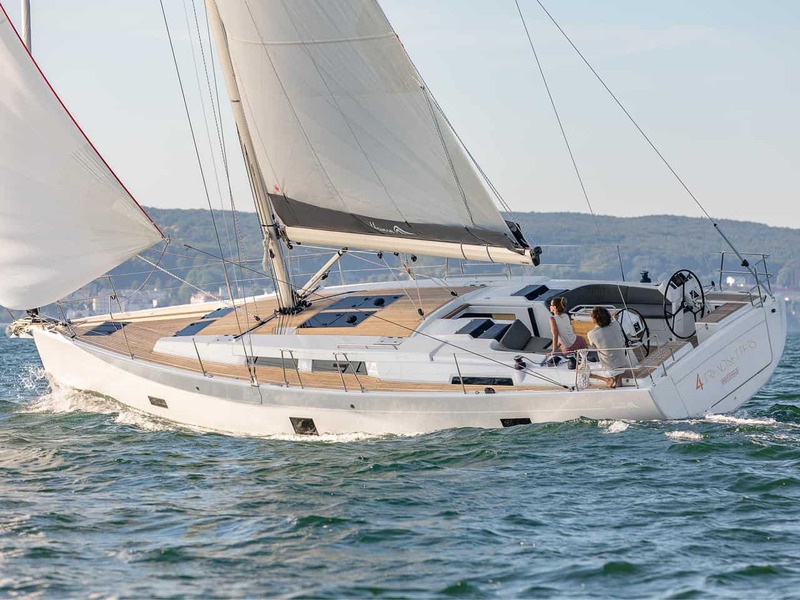 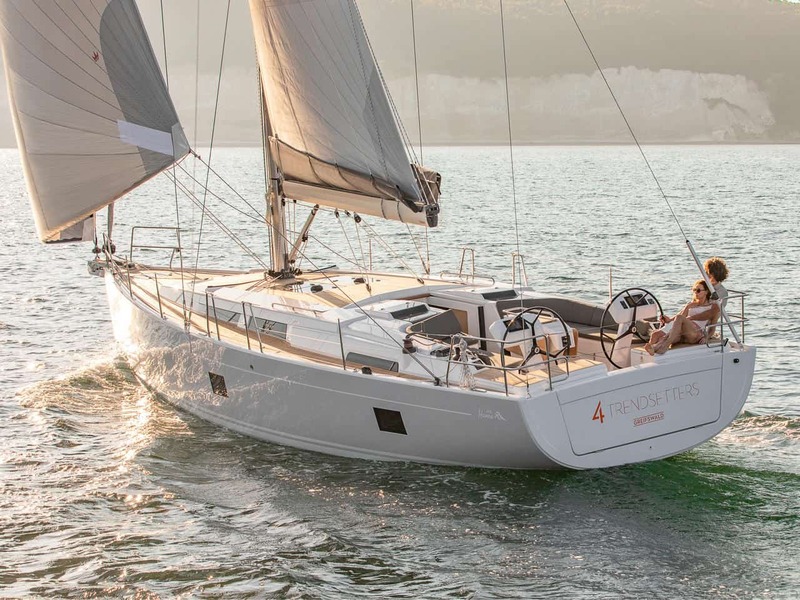 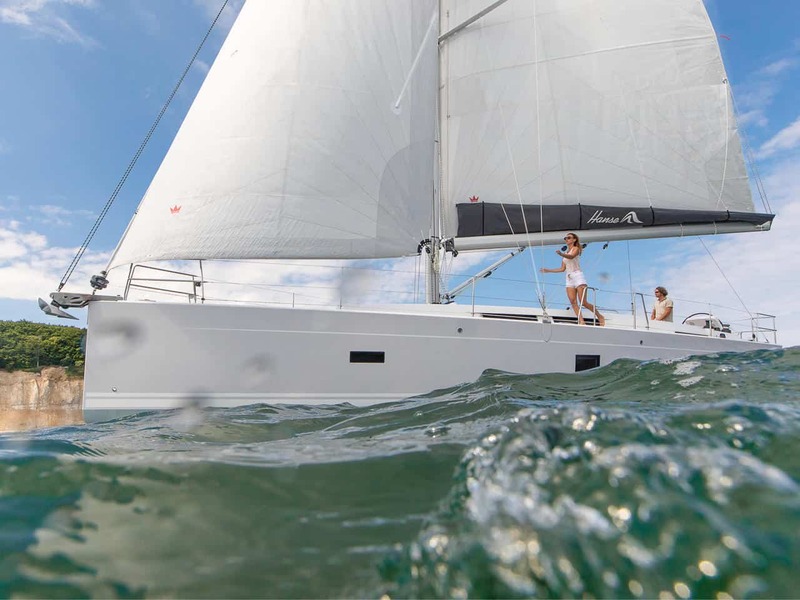 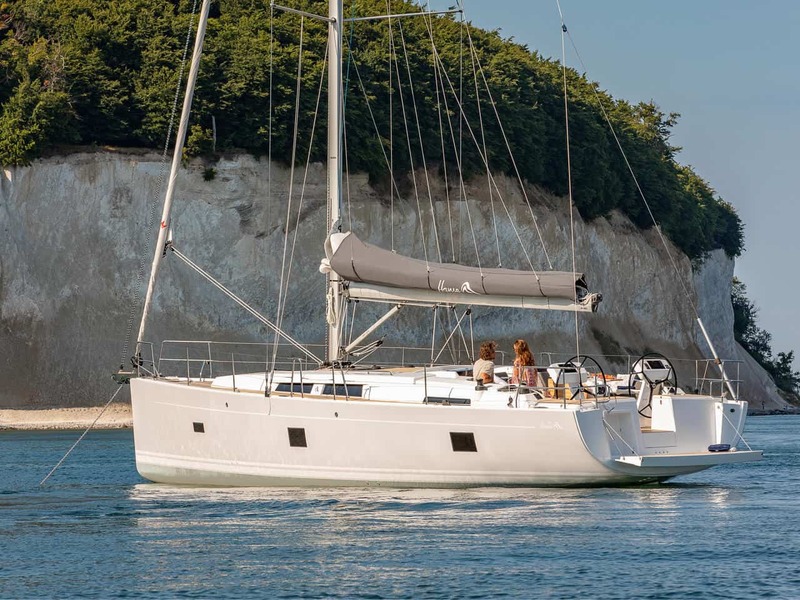 The Hanse Easy Sailing concept is legendary. 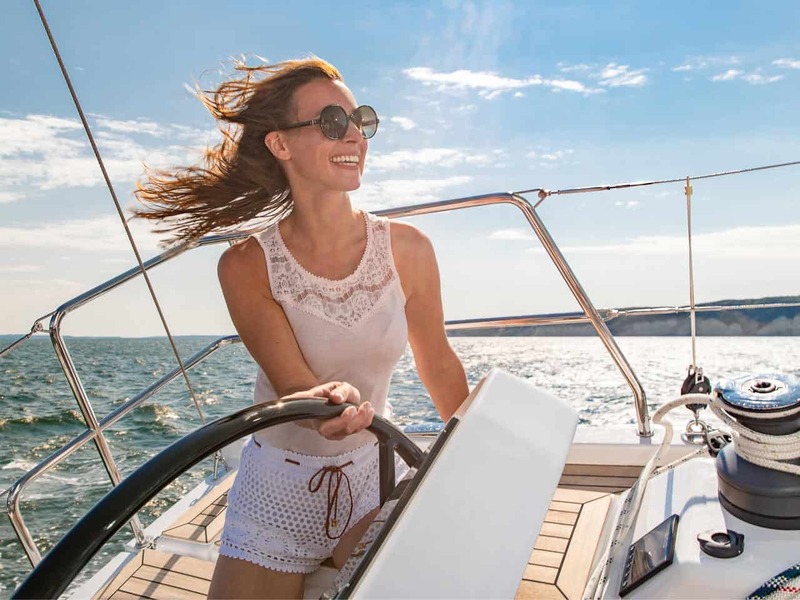 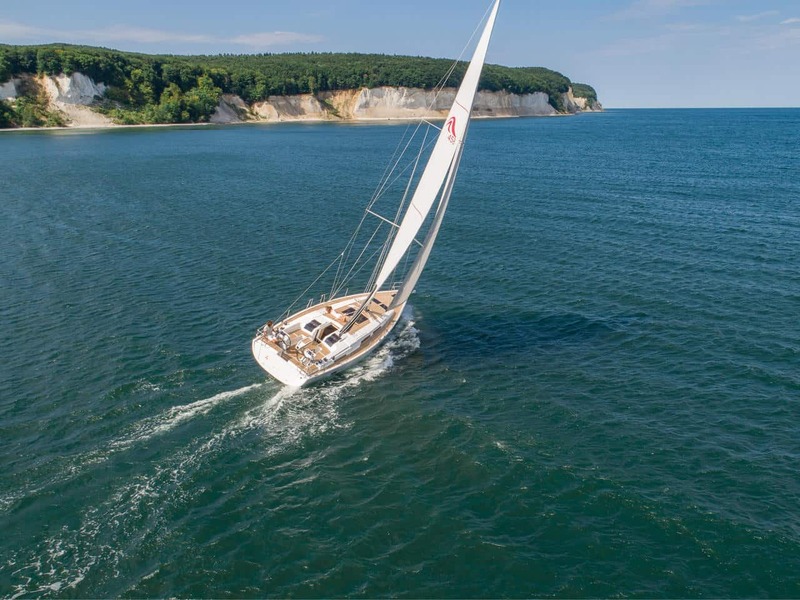 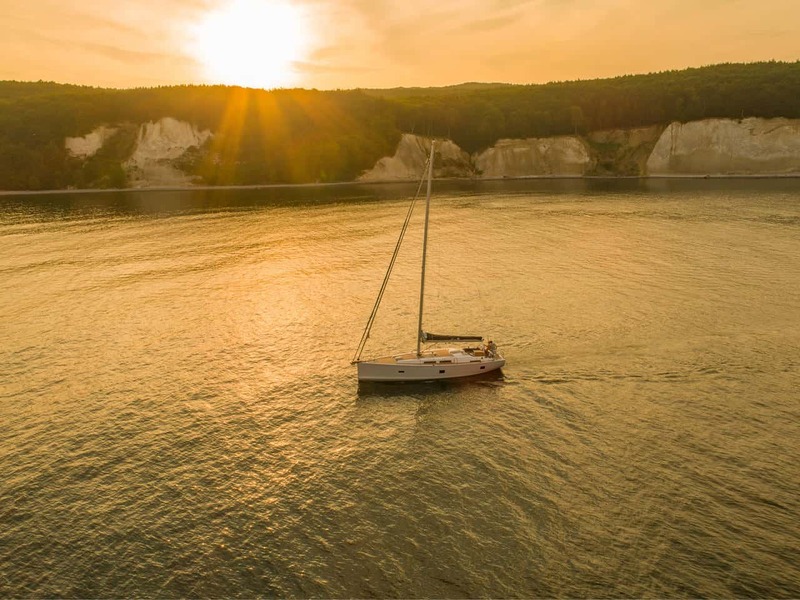 We are the designers of the integrated self-tacking jib, with all the ropes guided directly to the two-wheel helm, enabling you to sail this yacht with the greatest of ease all on your own. 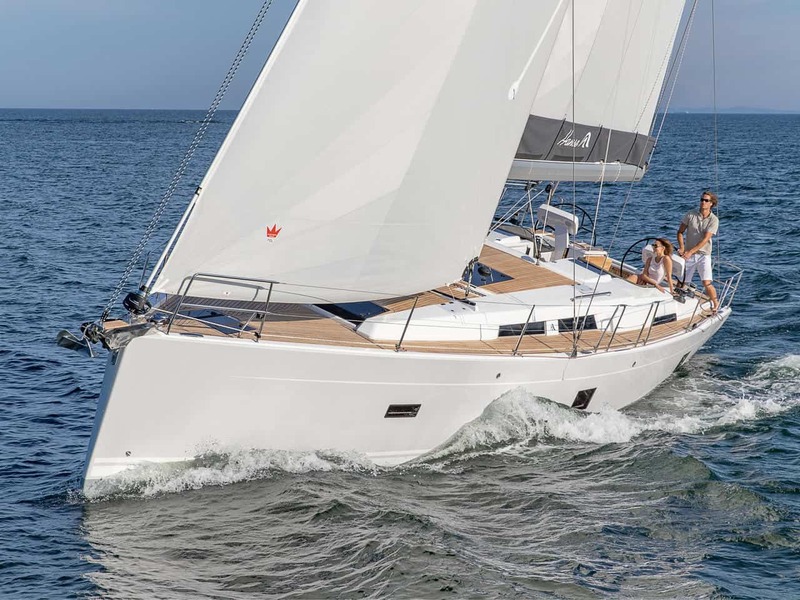 Manoeuvres like reefing, tacking and setting the sails can all be done comfortably and quickly using just two winches at the helm. The deck is completely free of all ropes and fittings – so you can enjoy an uncompromising view and have lots of space for relaxing. 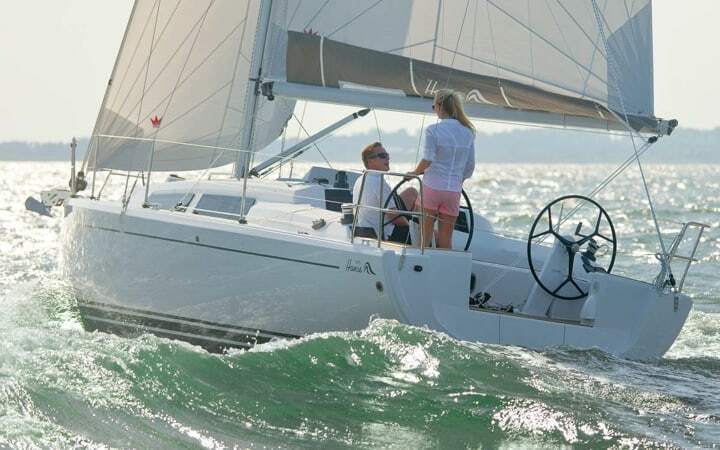 Modern sailing at its best! 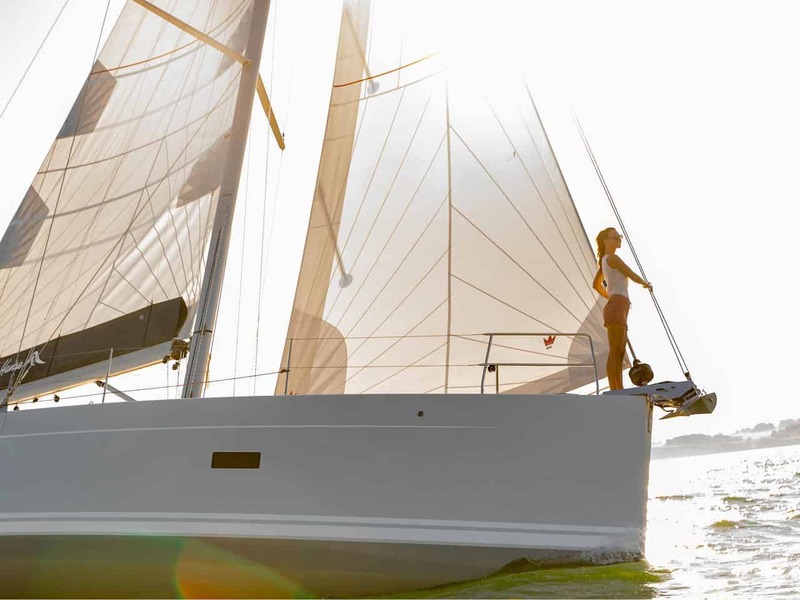 Built to amaze at sea. 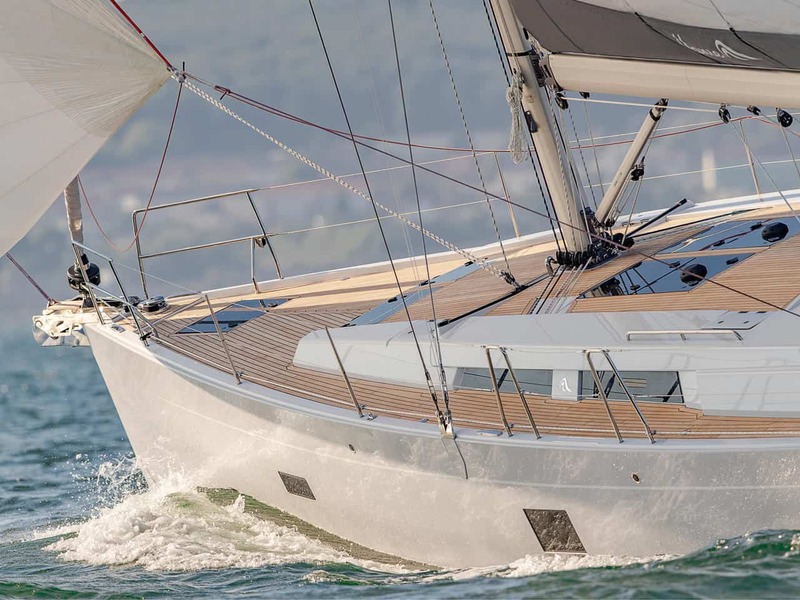 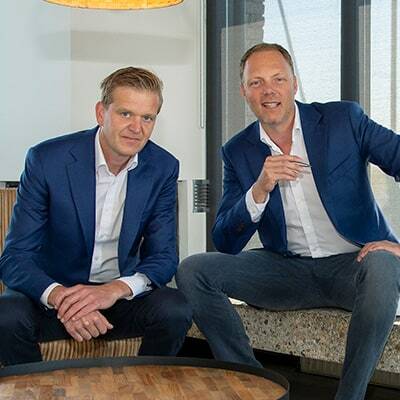 The distinct hull lines underscoring speed, the high rig and the powerful sailing plan all stem from the feather of judel/vrolijk & co, one of the world’s best and most experienced yacht designers. 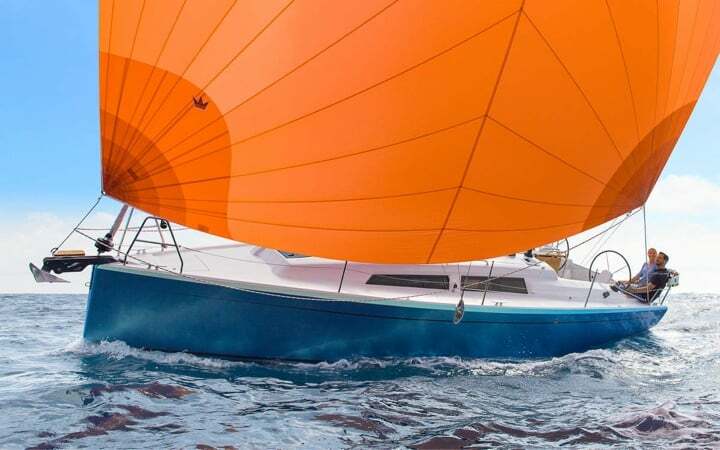 The interplay of a perfectly adapted lateral plan and a pre-balanced rudder blade is your guarantee for fantastic speed, stability and safety. 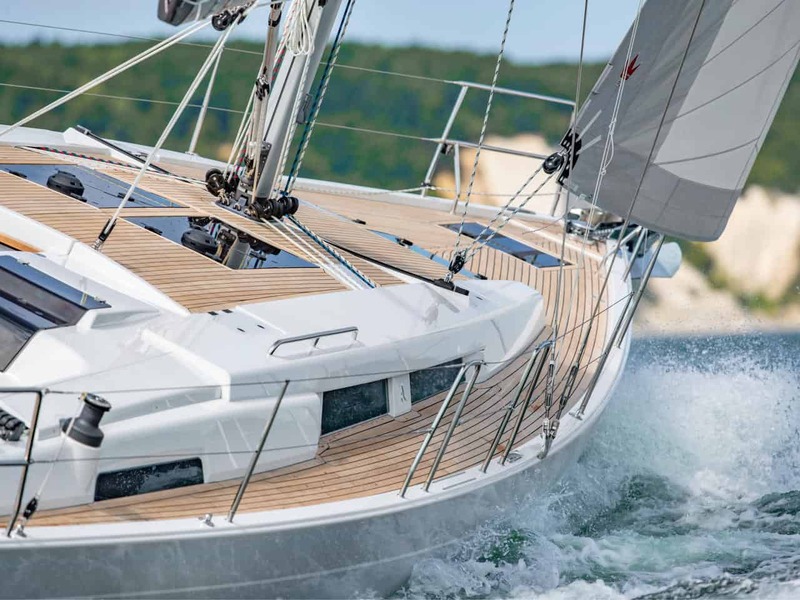 Pioneering innovations and intelligent details are expressed in an emotional design language – the creating this very unique Hanse yacht. 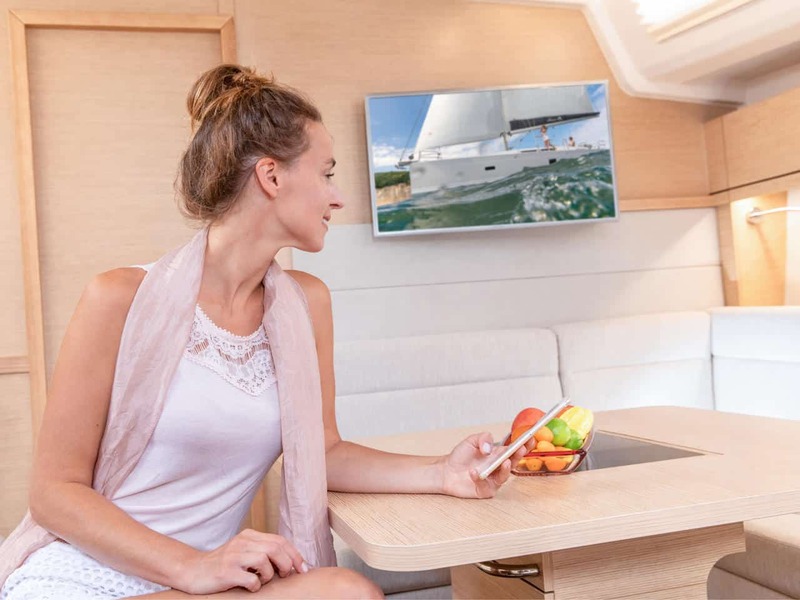 Each detail makes a clear design statement. 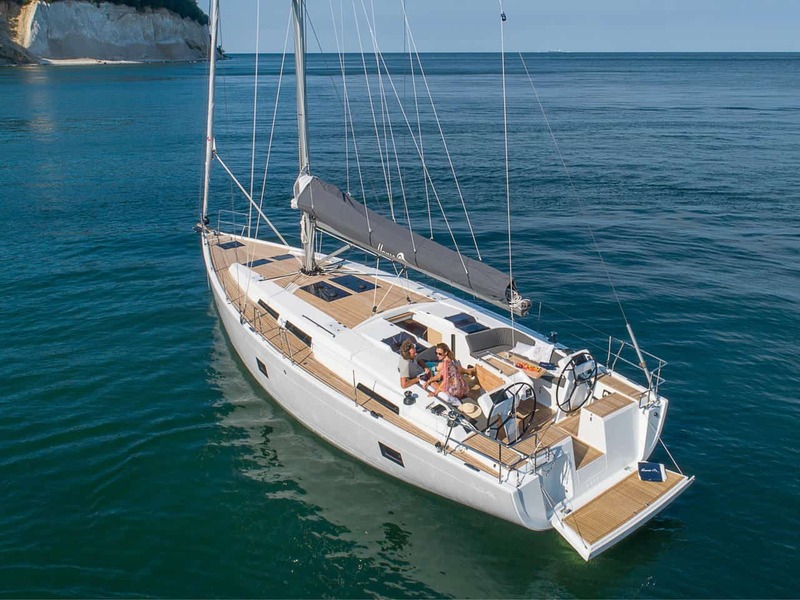 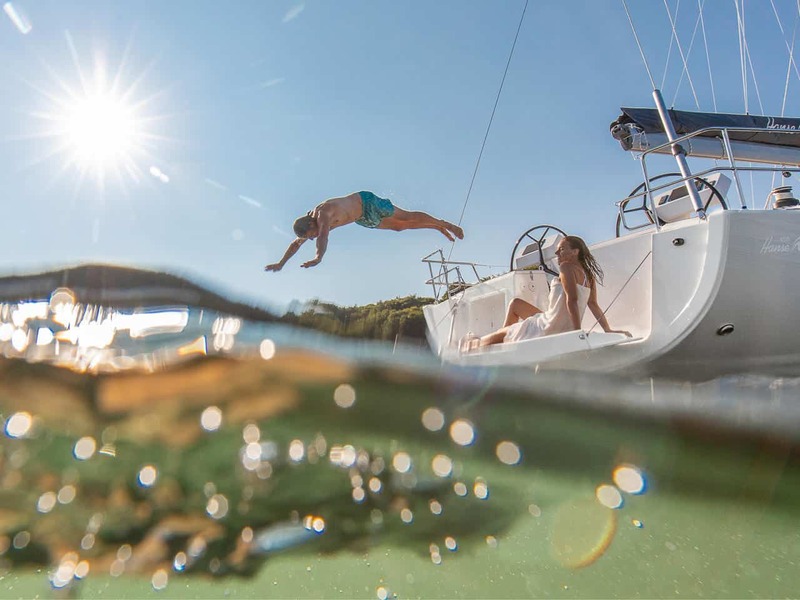 When experienced together, they create a unique and typical Hanse atmosphere of wellbeing, one which you will never want to do without. 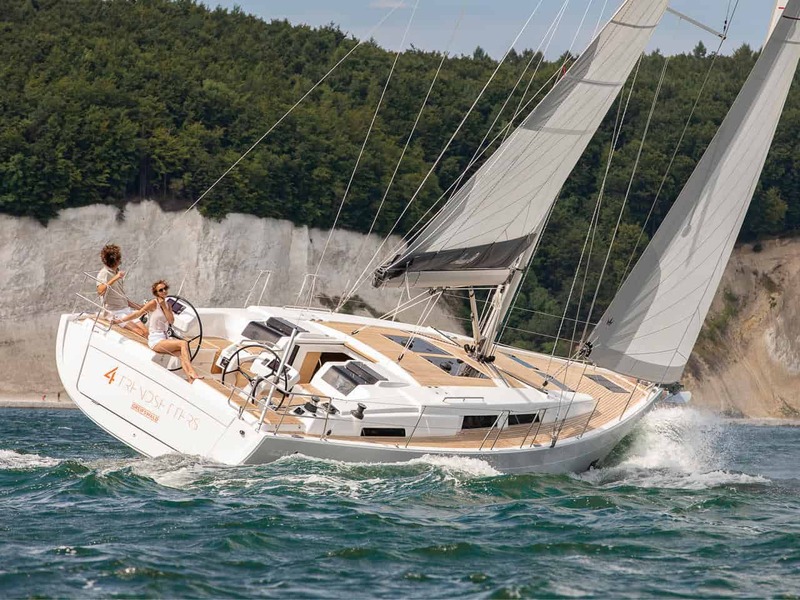 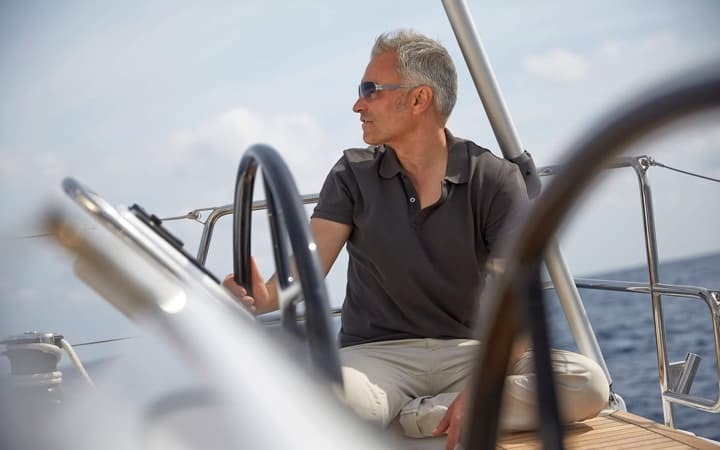 Set trends and make your Hanse your very own by giving it a personal touch. 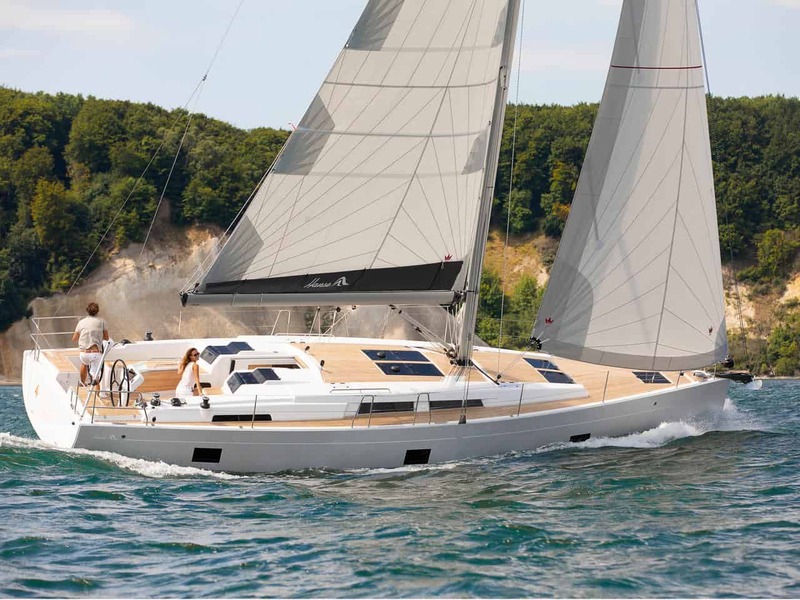 Your favourite hull colour ensures your yacht is an exciting eye-catcher in any harbour. 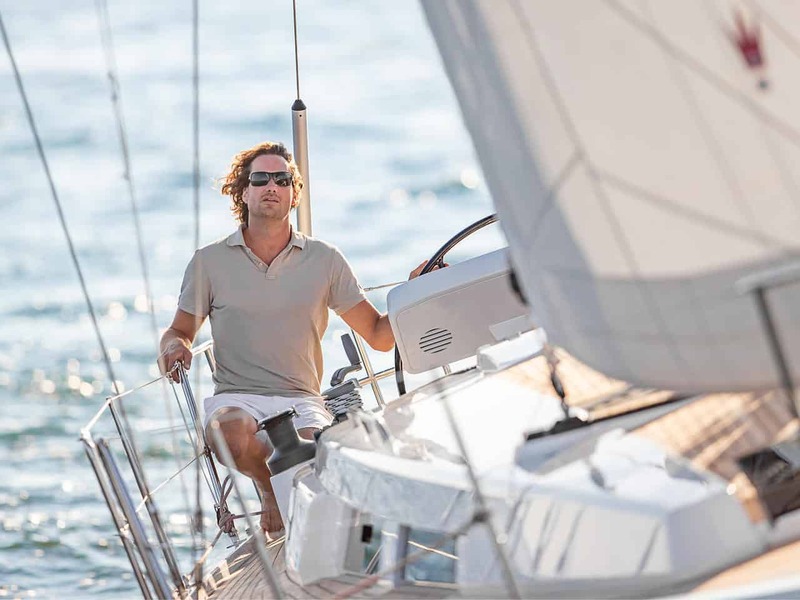 And with your desired technical equipment, it also becomes the ultimate companion in all waters. 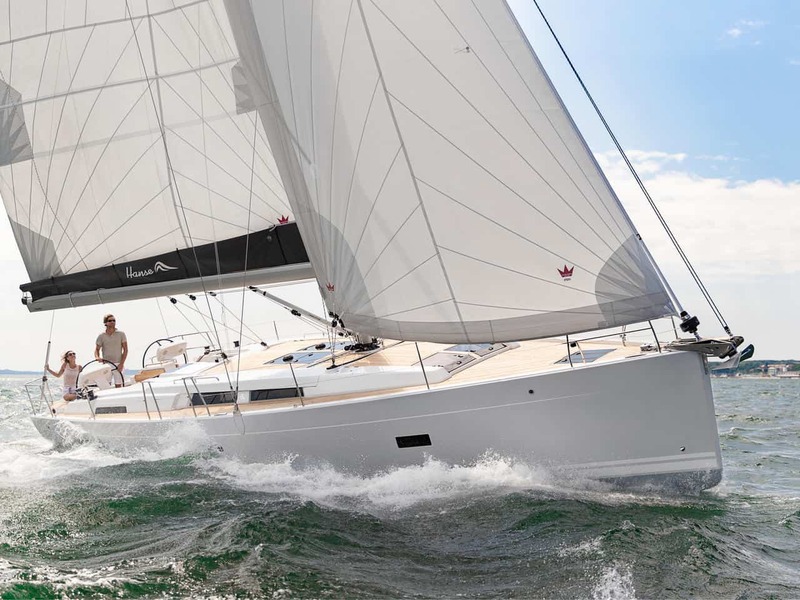 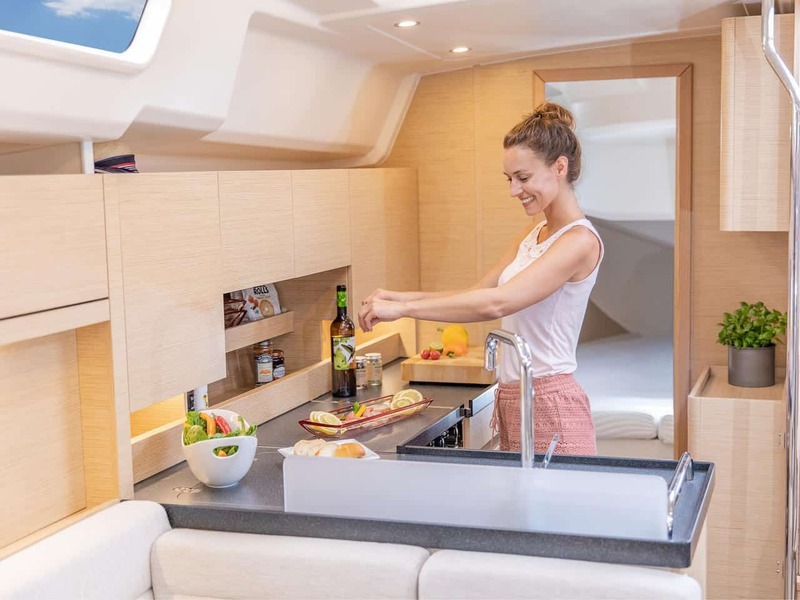 Below deck, too, you can design your Hanse 458 to your heart’s desire. 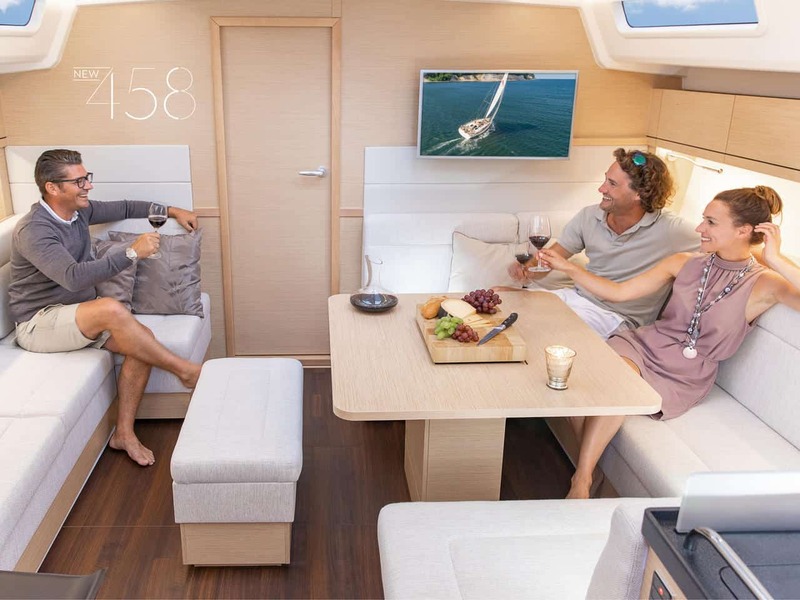 Choose the cabin layout, colours, woods, fabrics and extras – each detail is an expression of your personal sophistication.